Just because many of us now live by ourselves, this does not absolve us of the responsibility to keep our environs clean and orderly. The condition of our surroundings has a powerful effect on our sense of self. So as we move into spring, let’s embrace the spirit and undertake some relatively simple projects around the house or apartment that will elevate our spirit (and keep the health department away!). We chose these particular projects because we believe they will produce the best results with the least amount of huff-and-puff effort! Clean the windows! You can make an effective cleaning solution with one cup of white vinegar combined with one cup of water that you can load into a spray bottle. Get a quality squeegee or use lint-free clothes to minimize streaking when removing the mixture from the windows. Replace air conditioner and furnace filters. Take a vacuum cleaner and clean out the condenser coils of your refrigerator (usually at the bottom of the unit). Get a bottle of Pine-Sol Original and attack the bathroom! Disinfect toilets (you should be doing this weekly). Use bleach to target mold in the shower or tub area (be sure the space is well-ventilated). Treat yourself to a new shower curtain and liner. 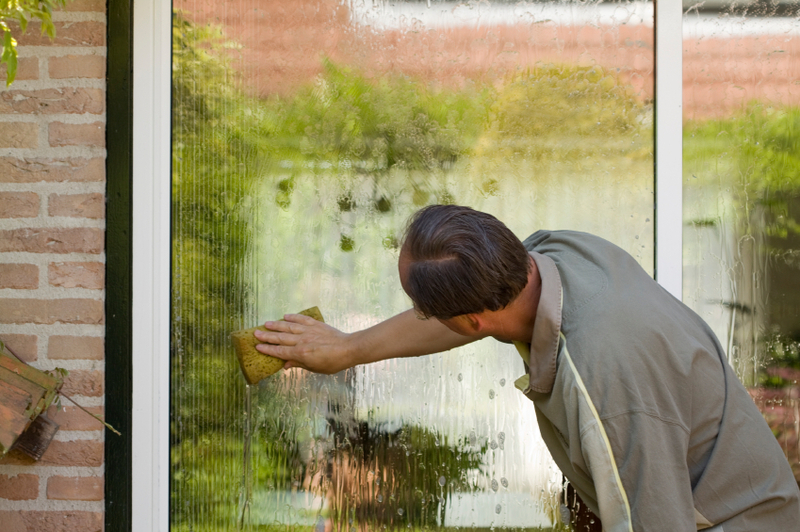 If you have glass shower doors, clean them with moistened drier sheets (the kind you toss in a clothes drier). If you are really energetic, replace the “wheels” that carry the glass doors so they roll smoothly. They are available at hardware stores. Clean out your medicine cabinet. Check all expiration dates. Dispose of expired prescription medications at drop-off sites (National Prescription Drug Take-Back Day is April 27th. Visit www.dea.gov for locations). The same routine applies for the refrigerator. Dump all the existing ice for a new supply (and for a cool drink at the end of the day!). Steam clean your carpeting. It will kill bacteria, mold and fungi that may have collected over the winter. Check supermarkets and hardware stores to rent a steam carpet machine. Purchase some new sheets and pillow cases. Why? Because you’re worth it! Spring cleaning can give you real emotional “lift” and it will also be noticed and appreciated by visitors… male and female alike.